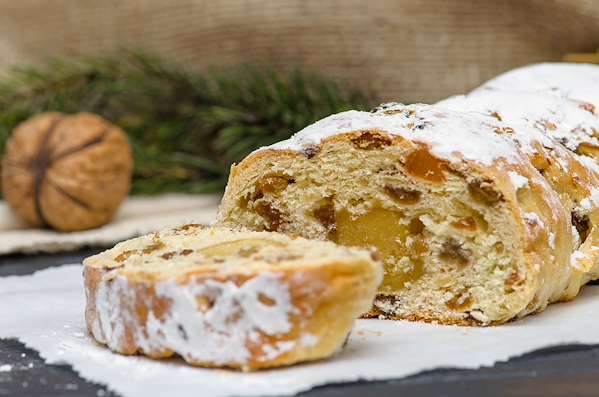 RecipeSavants.com Christmas Stollen is the iconic Bavarian bread baked only for Christmas. 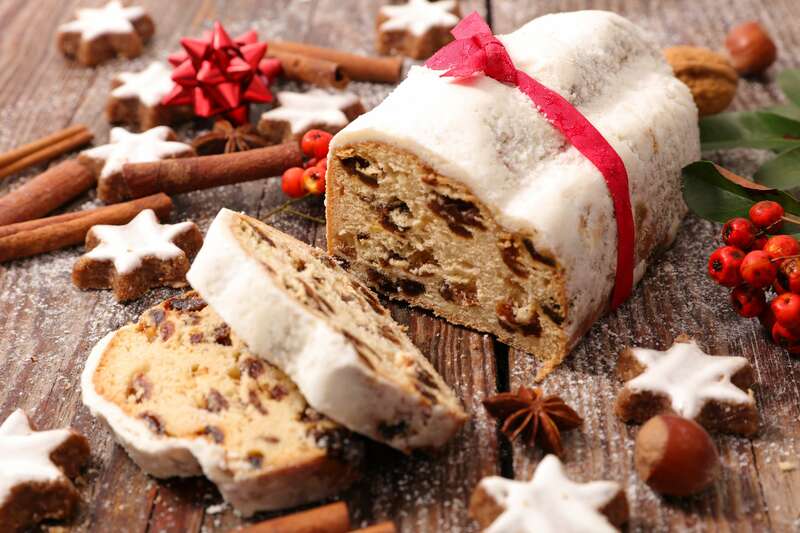 It has many of the same ingredients of fruitcake; however, the Stollen has a more tender crumb and the candied fruit is plump with flavor. 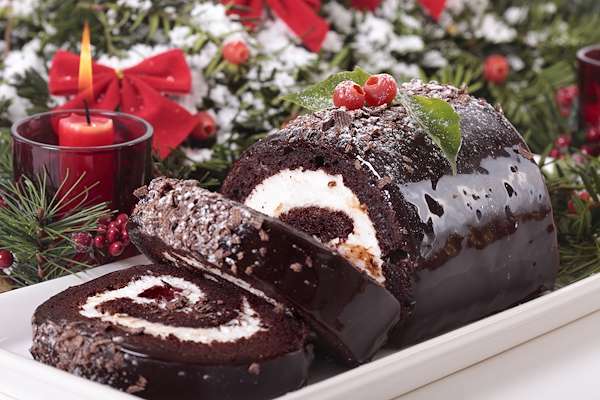 It has a light, buttery glaze and makes the house smell gloriously like Christmas as it is baking. 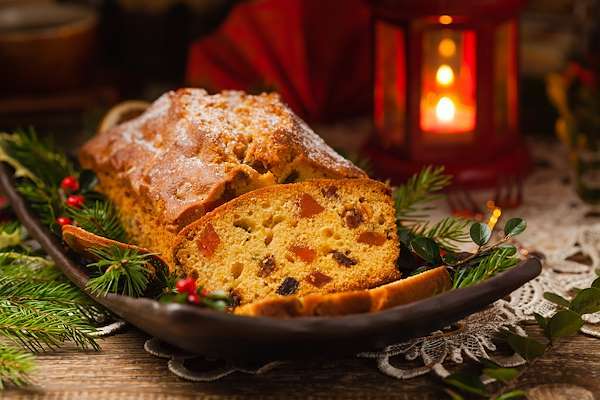 If you are looking for fancy recipes for a holiday dinner this one would be a great pick. Smart Recipes, European Recipes, Vegetables,Nuts Recipes, Recipes Vegetables,Nuts European Christmas Stollen PT1H20M Serves 12 Ingredients: 3 Cups Golden Raisins 4 Tablespoons Dark Rum 2.75 Cups Unsalted Butter 1 Cup Granulated Sugar 8 Cups All-Purpose Flour 2 Packages Active Dry Yeast 1 Teaspoon Salt 1 Medium Lemon 2 Cups Milk 0.5 Cup Candied Orange Peel 0.5 Cup Candied Lemon Peel 0.5 Cup Almonds 0.5 Teaspoon Ground Nutmeg 0.25 Cup Powdered Sugar In a small bowl, add raisins & rum and allow to soak overnight. In a stand mixer, cream butter and sugar until fluffy. Gradually add flour, sugar, yeast, salt, milk, and mix until a smooth dough ball is formed. 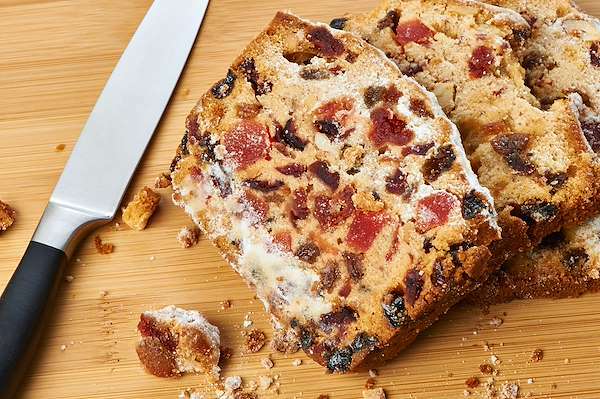 With dough hook attachment, add the candied fruit, almonds, nutmeg and raisins, one ingredient at a time and knead the dough well after each addition. Let dough set for 1 hour. Preheat oven to 350 degrees. Line a large sheet pan with Silpat or parchment paper and set aside. On a lightly floured work surface, knead the dough well and divide it into 2 equal- sized balls. Shape each dough ball into a loaf and arrange on sheet pan. Bake until lightly browned and a toothpick inserted in the center comes out clean, about 1 hour. Melt remaining butter and brush on the cooling loaves and dust with powdered sugar.